The International Baccalaureate Organization aims to develop inquiring, knowledgeable and caring young people who help to create a better and more peaceful world through intercultural understanding and respect. To this end the IBO works with schools, governments and international organizations to develop challenging programmes of international education and rigorous assessment. These programmes encourage students across the world to become active, compassionate and lifelong learners who understand that other people, with their differences, can also be right. International Baccalaureate (IB) is a curriculum and exam program that can be taken in 3,914 member schools in 147 countries. It was founded in the mid-1960’s and has headquarters in Geneva, Switzerland, and a regional office in New York City. The IB diploma program is a rigorous pre-university course of study leading to examinations, which meets the needs of highly motivated and academically-inclined secondary school students. IB stresses education of the “whole person” in this time when knowledge continues to expand dramatically; when advanced technologies and global economics have tied together vastly different cultures, when the world is bound too closely for provincial ideologies to guide political thought; when to exist in a world community requires appreciation and understanding of cultural diversity; and when cooperation alone will solve worldwide problems. All IB diploma candidates are required to study a foreign language, sciences, mathematics, humanities and English at LPA. The intent is that students should learn how to learn, how to analyze, how to reach considered conclusions about people, their languages and literature, their ways in society, and the scientific forces of the environment. The effectiveness of the IB programs worldwide is attributed to the depth of the individual courses and also the comprehensive nature of the total program. Unlike other honors programs, IB requires each student to take advanced courses in six academic areas. In order to qualify for the prestigious IB diploma, students must pass written exams in six areas; some subjects also include an oral exam. Why Should a Student Consider the IB Program? This program challenges and meets the needs of highly motivated, academically-oriented students in all subject areas. Preparation for college is assured, and many colleges give admission preference to IB students and award college credit for IB work. Being in this program assures students that the quality of their education is as high as that of students in fine schools all over the world. IB students have the opportunity to obtain a thoroughly well-rounded education. They take extremely challenging courses in areas of their strengths and areas in which they have less strength, as well. Graduates of these programs often point to their success in their weaker subjects with the greatest pride. 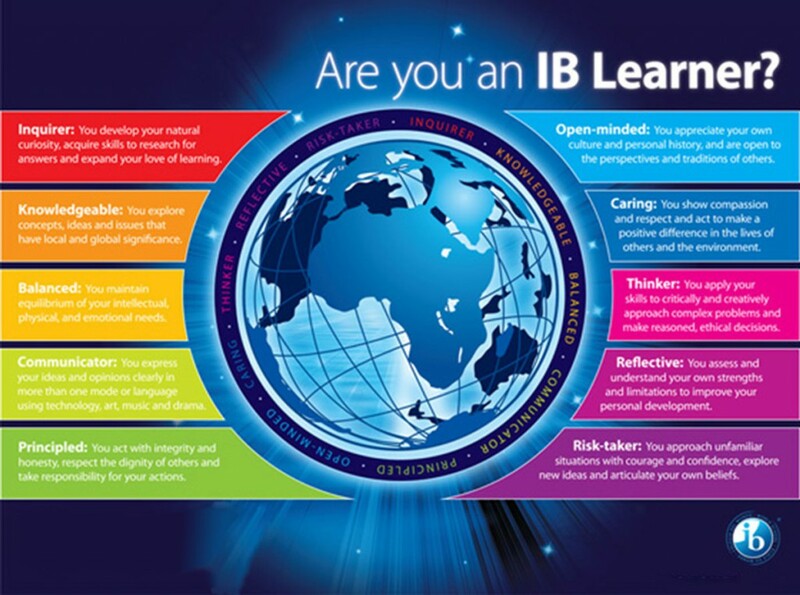 IB insists that students challenge themselves in all areas of the broad curriculum. Beyond the academic advantages, through the CAS Project, students are encouraged to give time to make the world a better place. This is a key part of the global nature of IB. Students in prepatory courses and IB classes receive weighted value for their grades, which enhances their grade point averages in the school and the district. Hundreds of colleges worldwide have recognition policies for students with IB diplomas. Each college sets its own criteria, so students should view their IB courses in the context of the perspective college’s requirements. We will counsel students to be sure that they have the opportunity to meet the requirements. In some cases, a full year of college credit is awarded to IB diploma holders. Some students will be awarded college credit in selected courses.